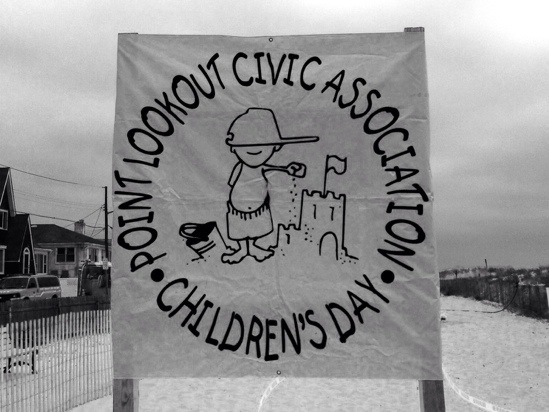 Just over 80 years ago, Children’s day started at our very own Point Lookout beach. 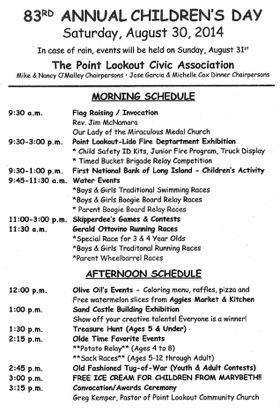 When this day first started, there were only two events, running and swimming. 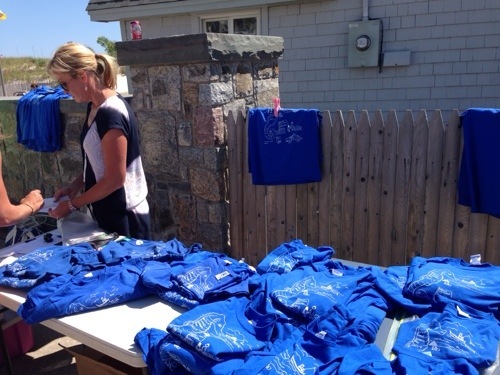 I spoke to former children’s day participant, Margaret Dougherty, who had said the day was running, swimming, getting watermelon and only vanilla ice cream cups. Then, later in the day, they gave out first, second, and third place trophies; When Margaret’s father was a kid, one of the only prizes was a pencil. Eventually Children’s Day progressed to adding another event, the egg toss, for the parents. “One year I dressed up as my mom for the egg toss. I wore my mom’s terry cloth robe, big straw hat, and her big, green, plastic earrings.” This is a story that is cherished from Children’s Day. Over the years, more events gradually became part of Children’s Day. Now, the events are: running, swimming, boogie boarding, the egg toss, sack races, the sand castle contest and many more events and activities! 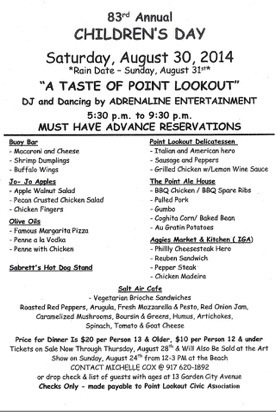 There is also a barbeque at the end of the day for everyone to enjoy along with a DJ for the kids. 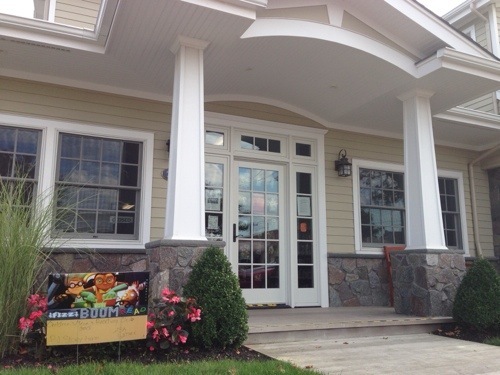 To make this day happen, it is truly a community effort! What new stories will be created this children’s day and live on for generations? What will Children’s Day hold for he future? Let’s find out! 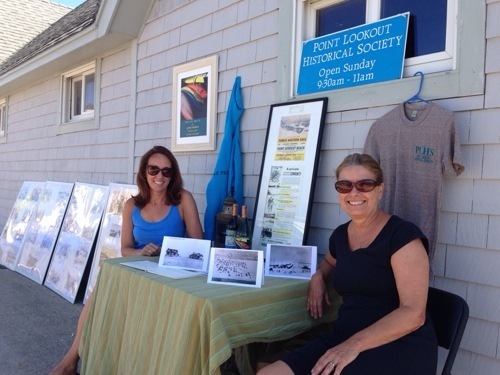 Scenes from 2014 Point Lookout Art Show. 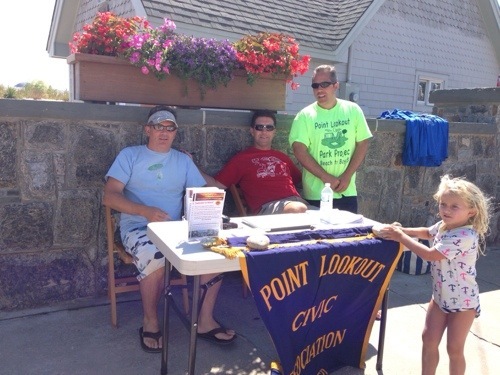 Sunday 8/24/14 was the Annual Point Lookout Art Show. 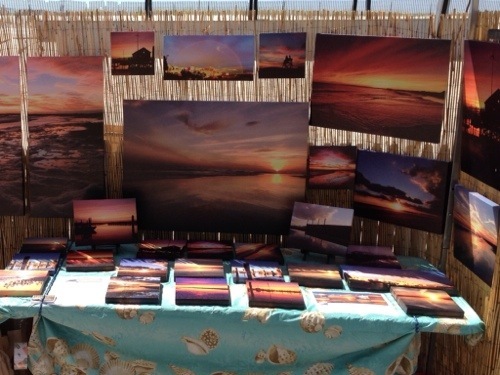 The annual tradition, held on Ocean Boulevard in front of Civic Beach featured artwork, handmade jewelry, hand made handbags and more from numerous artisans and (ahem) beach photographers. Canvases for Point Lookout Art Show arrived! 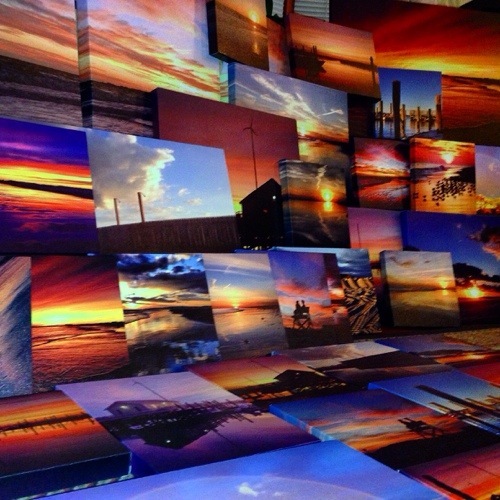 My photo Canvases arrived last night for Point Lookout Art Show on Sunday 8/24/14. 12-4. 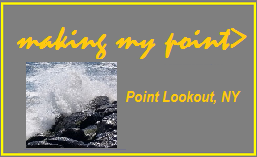 Don’t know what to expect, but I’m going to find out! I’m pretty happy with the quality of these. Last-minute availability to be included in the art show made the rush shipment of these a real nail-biter. Too bad it wasn’t enough time for acrylic or metal prints to come in. They would’ve looked great. Maybe next time! One’s heart is the camera catching the rose and its thorns- snapshots of how we live with kith and kin. 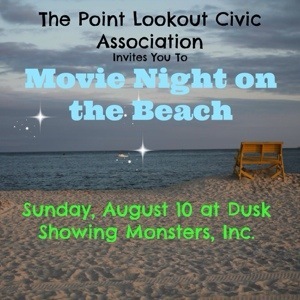 Monday, August 18 at 7:00 p.m. At Long Beach Public Library Point Lookout Branch. Kids these days…They just don’t get scared like they used to!